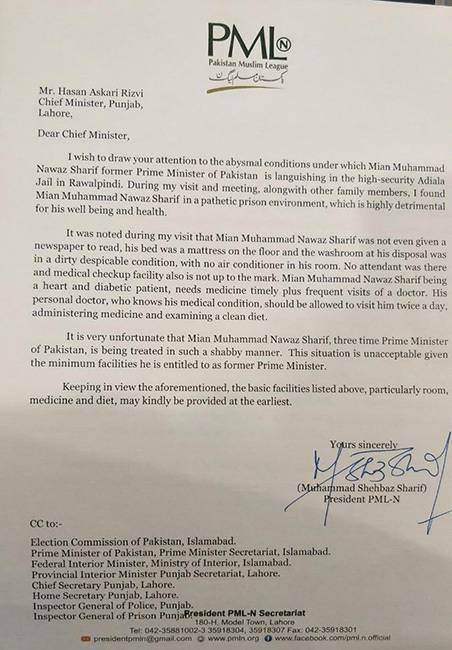 If this was from some movie scene, it would be hilarious to read but no, the former Chief Minister who is the brother of the crook Nawaz Sharif sentenced to 10 years in jail for corruption actually complained to the government about “jail like” conditions in jail!. What the ruling elites and new Godfather of Pakistani Mafia doesn’t understand is jail is not a luxurious vacation place or 5 star hotel. 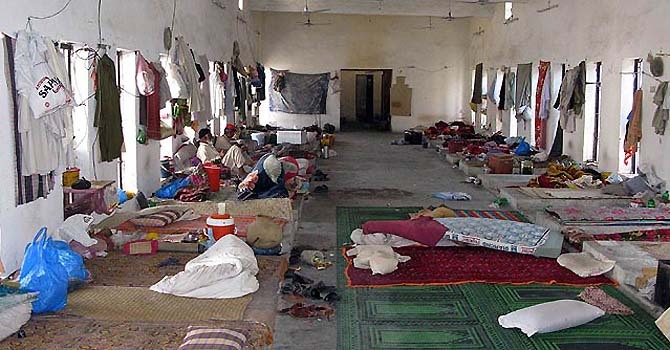 90% of Pakistani population doesn’t have access to air conditioner or can’t afford it due to expensive electricity bills ( the average salary of Pakistan is way below the bill of using A/C in Pakistan), most of the poor can’t afford newspaper!. In a country where a fan running 24/7 is considered a luxury due to the consistent power shortages, people dying from heat strokes every summer due to lack of fans, the crooks of Pakistani Mafia want to vacation in jail. Sadly, Godfather of Pakistan Nawaz Sharif would not be caged for long as every corrupt crook in Pakistan is out to save him and he will be released or broken out of prison. The Mafia Republic of Pakistan is known for its love for harboring criminals and the biggest criminal of them all Nawaz Sharif can’t be caged for long.